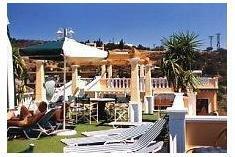 Dioskouroi Apts Akhladha, Hotel Greece. Limited Time Offer! Dioskouroi. "Dioskouroi" is a hotel that has 2 stars. It is an excellent pied-a-terre from which to discover Agia Pelagia. 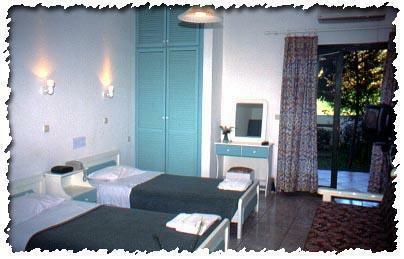 Guests will appreciate the option to spend some time at the seashore, which lies near "Dioskouroi". 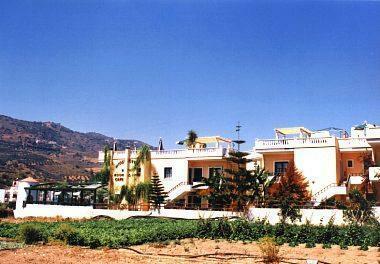 This family hotel consists of 4 apartments and 10 rooms in total. Thanks to the relieving air conditioning, you will always find a comfortable room temperature inside. For a short walk in the morning, the private garden is excellent. The residence presents its visitors with both an outdoor and covered swimming pool which are adapted for children. There are bikes for rent so that you can discover the neighbourhood. After a busy day, a visit to the jacuzzi will help you feel refreshed. After a long day, you can enjoy a drink at the lounge bar. 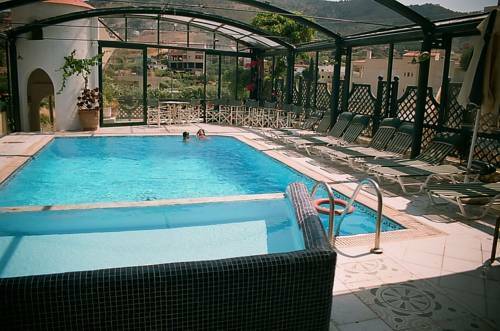 'Dioskouroi' is a small family hotel with 6 four-bed apartments and 4 two-bed studios. There is also a large indoor-outdoor swimming pool and a Jacuzzi. Higher up, is a thoroughly enjoyable roof garden. The hotel is 300 metres from the beach.